Tonight, the stress and anxiety has gotten to me and I can’t sleep. It is 4:16 AM as I write this post, and I have been “tossin and turnin” since 2:30 AM or so. What is a person to do? 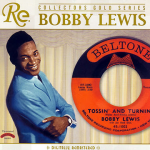 Bobby Lewis sang about this whole “Can’t sleep” syndrome back in 1961 with his hit “Tossin and Turnin”. In his song, he was singing about the effect a girl had on him, perhaps you remember some of those lyrics? Tossing and turnin’ all night. Bobby Lewis sure hit a chord with the music loving public, as his song continues to receive continuous play on oldies stations around the world. Billboard ranked “Tossin and Turnin” as the #1 song of 1961 and has gone further to rank “Tossin and Turnin” as the 32nd biggest hit of all time. You could say that I too am “tossin and turnin” because of a girl (s), as my wife has multiple health problems and our 4 beautiful girls are growing up. You could add the 5 handsome boys we have who are also growing up, and our dog Daisy too. I can’t forget that one of my daughters is now engaged to be married, another just moved back home. Two of our kids are in college this year, one in High School and two still in Elementary school. Five tuitions to pay, one full year of property taxes that are already past due, house payments to two different lenders that are a few months past due. Oh yea, soccer and football seasons are just about to start, so the chauffer hat is coming back on too. Yes, these are all reasons to toss and turn, not to sleep at night. They are probably reasons to do more than just toss and turn, but for now the “tossin and turnin” will have to do. Many people turn to alcohol or drugs to deal with problems like these. Some even resort to other even more notorious remedies to their problems. But a little “tossin and turnin” can be good for a soul. As long as your “tossin and turnin” inspires you to take action, to face your trials head on, the “tossin and turnin” can be used to positively affect your situation. For me, it seems that writing has provided me an outlet to work out some of my own stress and anxiety. 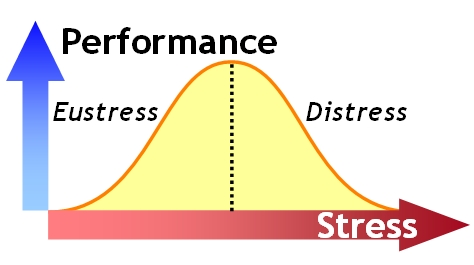 Stress is defined as “strain felt by somebody: mental, emotional, or physical strain caused, e.g. by anxiety or overwork. It may cause such symptoms as raised blood pressure or depression.” Stress is certainly a reason for “tossin and turnin”. But, how we react to stress determines whether we will continue to toss and turn, or whether we can rise above it and conquer our problems. In the press today, we hear about stress and anxiety all the time. And the focus always seems to be on the negative side of stress – distress. Distress is what causes anxiety and concern, is unpleasant, and is often associated with problems that are outside of our ability to cope. However, distress has a twin brother/sister, called eustress. Eustress is a term coined by endocrinologist Hans Selye. The word eustress consists of two parts. The prefix eu- derives from the Greek word meaning either “well” or “good.” When attached to the word stress, it literally means “good stress”. Stress can cause both physical and mental breakdowns (distress) in people who are not able to find outlets for their anxiety. Some work out, paint, do yard work and many other things in order to cope with and work off the stress of living. Others attack it head on, by forcing others to bear the weight of their stress. They blame others, or circumstance for their problems. Still others work proactively to address the source of their problems. Those who work positively to address the source of their stress and anxiety, are those who are able to effectively manage life and happiness. Eustress is the positive response to stress, which is healthy and gives one a sense of fulfillment and positive feelings. You could say that eustress could be a person’s ability to see a glass half-full, when most see it as being half-empty. You could also imagine someone creating lemonade from the lemons they have been given. Or even the person who sees the silver lining in the storm cloud above. For me, working through a large To-Do list before the end of the day, gives me a tremendous sense of accomplishment and progress. It is said that God never gives us anything that we cannot handle. I think some would argue with this statement, but I tend to agree with it. Even though my family has experienced many hardships recently, I can find everywhere around me others who have experienced far greater challenge. These people have inspired me to rise above our challenges, and to provide hope for the family. And my “tossin and turnin” has led to the creation of this post today. Although I would have rather experienced a good night’s sleep, I took the opportunity of my “tossin and turnin”, the stress, and anxiety that I am under, to create this post, to help others understand that they too can convert their challenges into opportunities. If you are experiencing stress, there are many resources to help. Feel free to reach out if you would like to talk further. Otherwise, you can find interesting thoughts on stress at Medicine Net, and at the American Psychological Association. For a discussion on stress, distress and eustress, Mentalhealth.net is a good source. You can also find information on Stress Management at The Mayo Clinic. ← Your Choices are Known Forever! Do you mind if I quote a couple of your articles as long as I provide credit and sources back to your blog? My blog is in the exact same niche as yours and my users would truly benefit from a lot of the information you provide here. Please let me know if this okay with you. Thanks a lot!